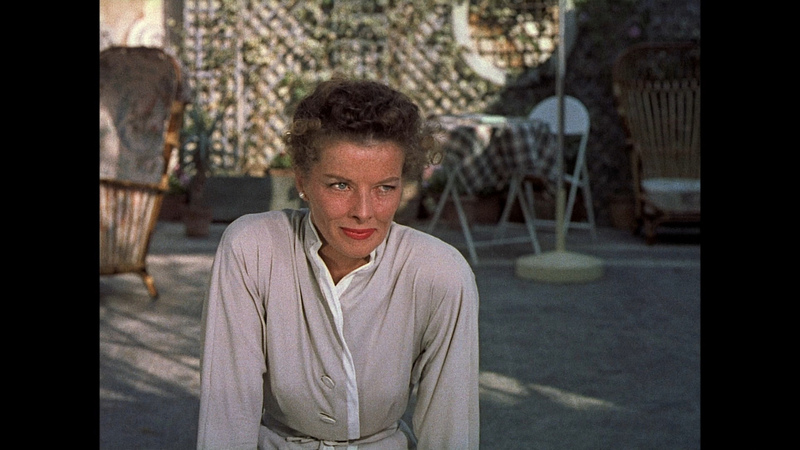 Middle-aged Ohio secretary Jane Hudson (Katharine Hepburn) has never found love and has nearly resigned herself to spending the rest of her life alone. 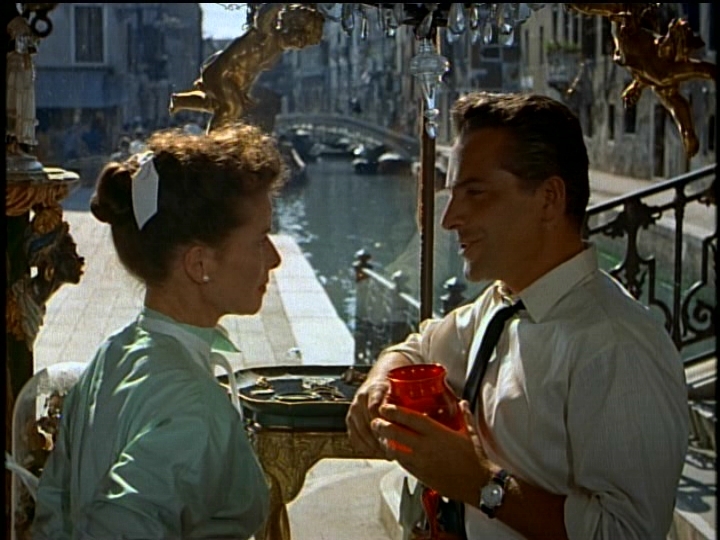 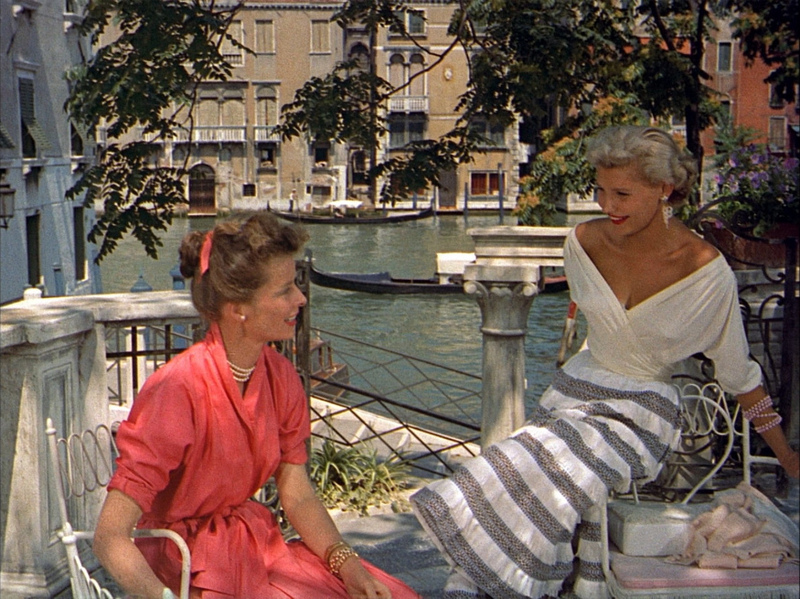 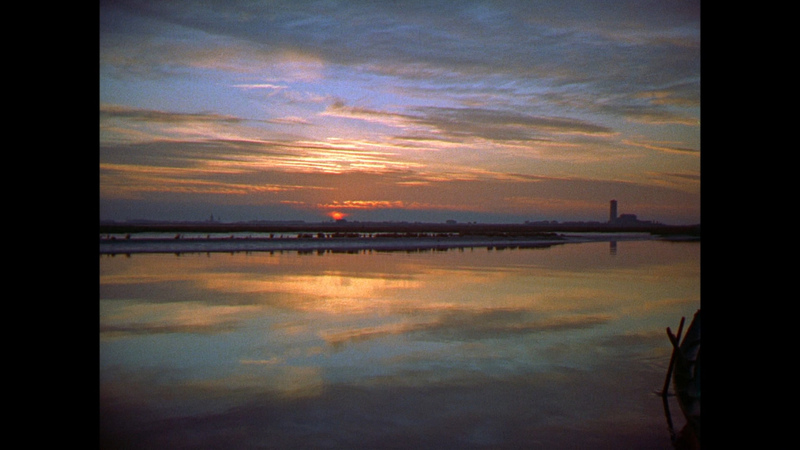 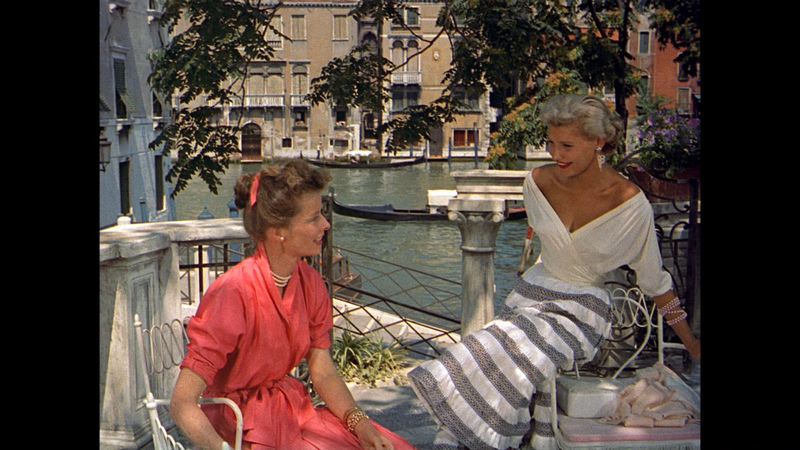 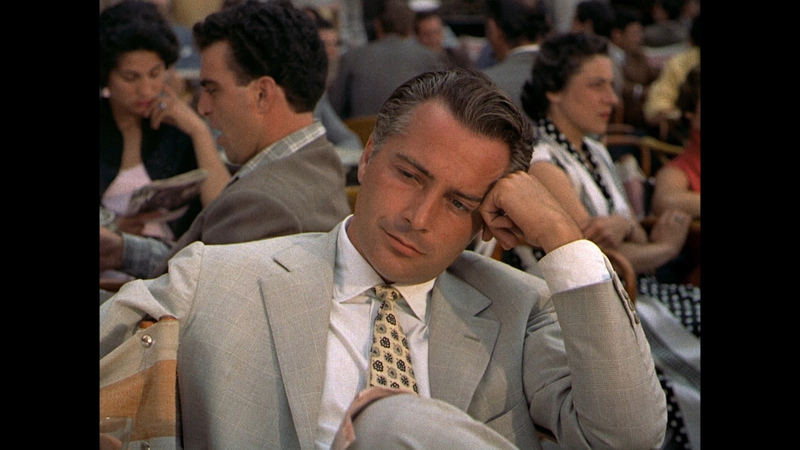 But before she does, she uses her savings to finance a summer in romantic Venice, where she finally meets the man of her dreams, the elegant Renato Di Rossi (Rossano Brazzi). 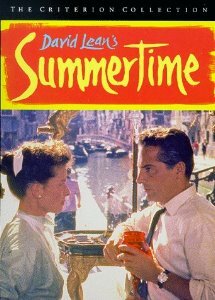 But when she learns that her new paramour is leading a double life, she must decide whether her happiness can come at the expense of others. 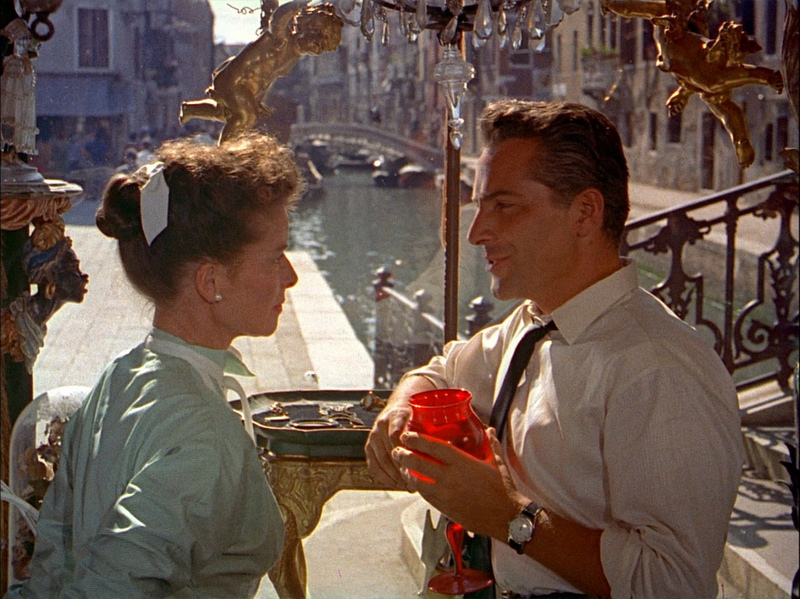 An American spinster’s dream of romance finally becomes a bittersweet reality when she meets a handsome—but married—Italian man while vacationing in Venice. 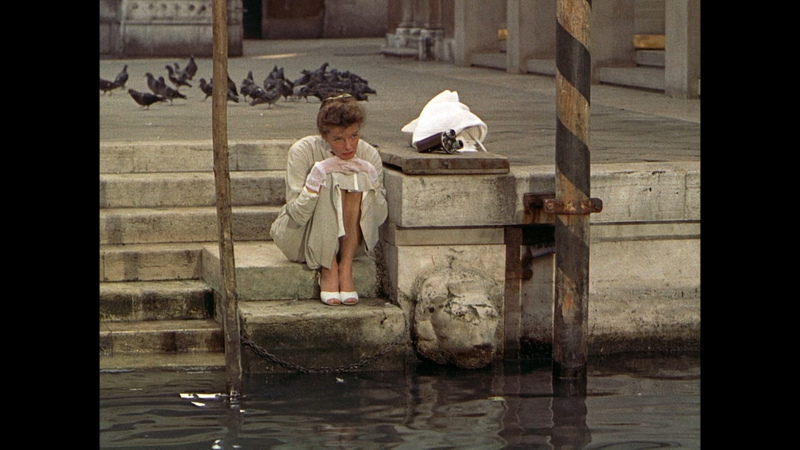 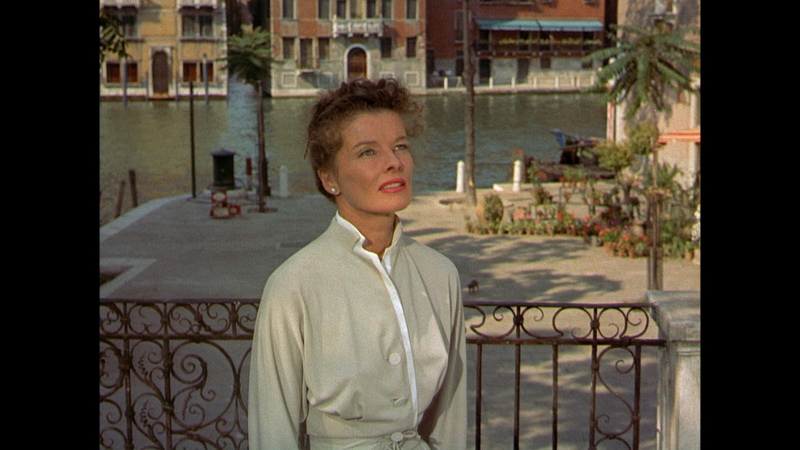 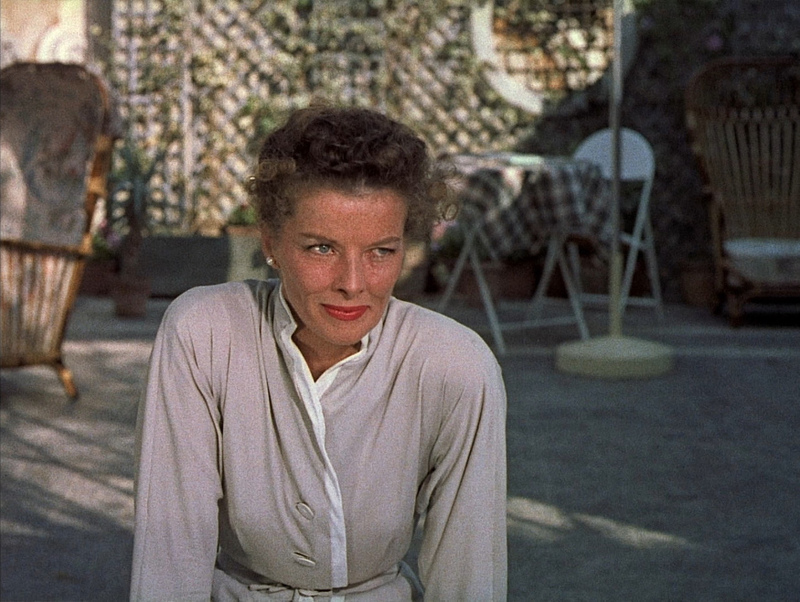 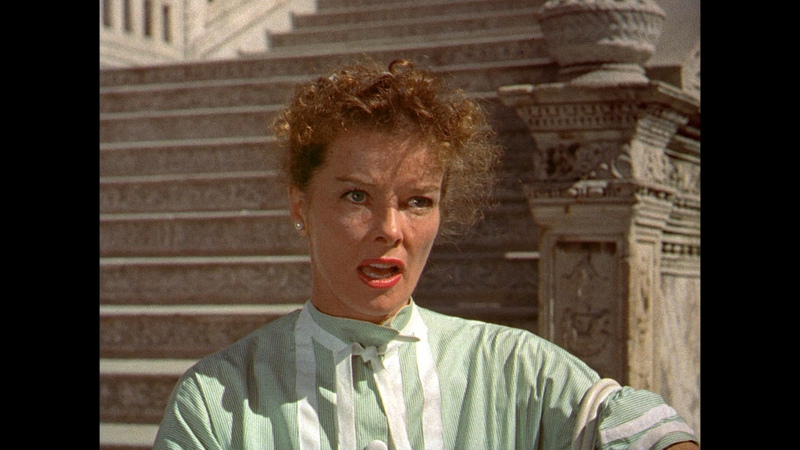 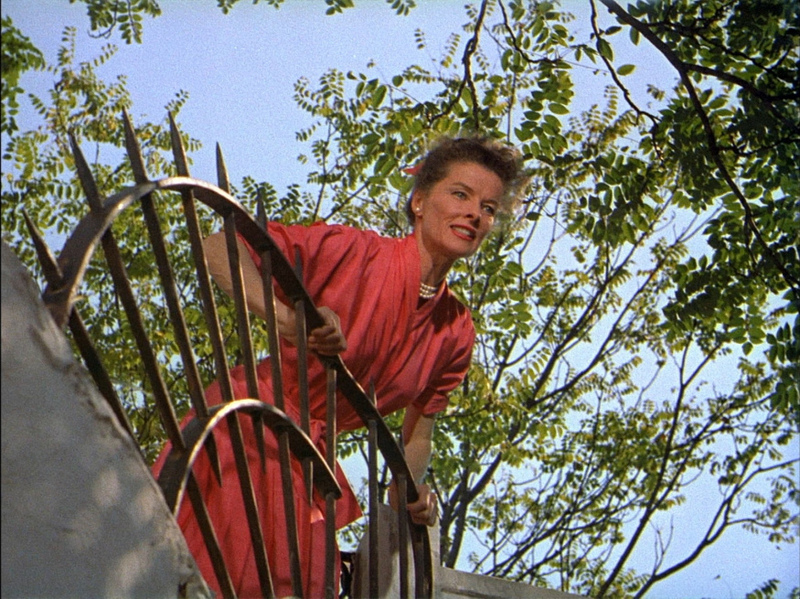 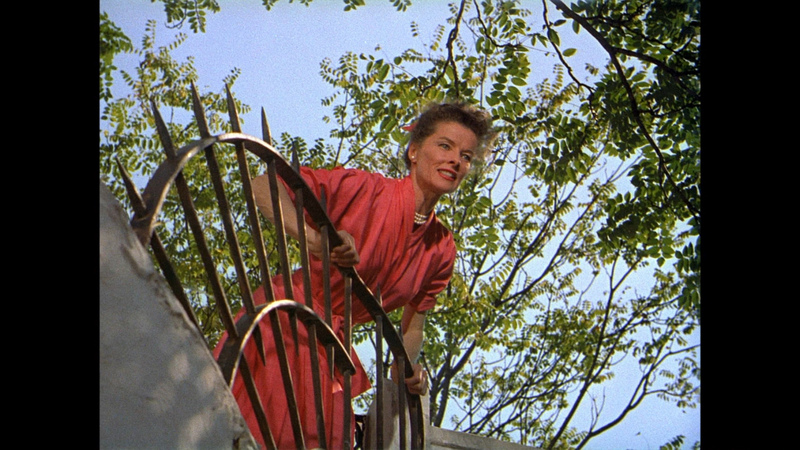 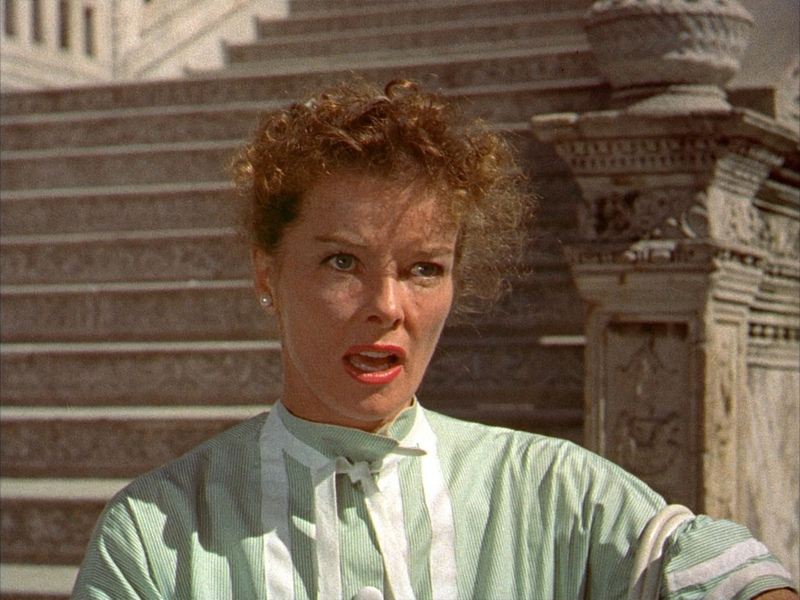 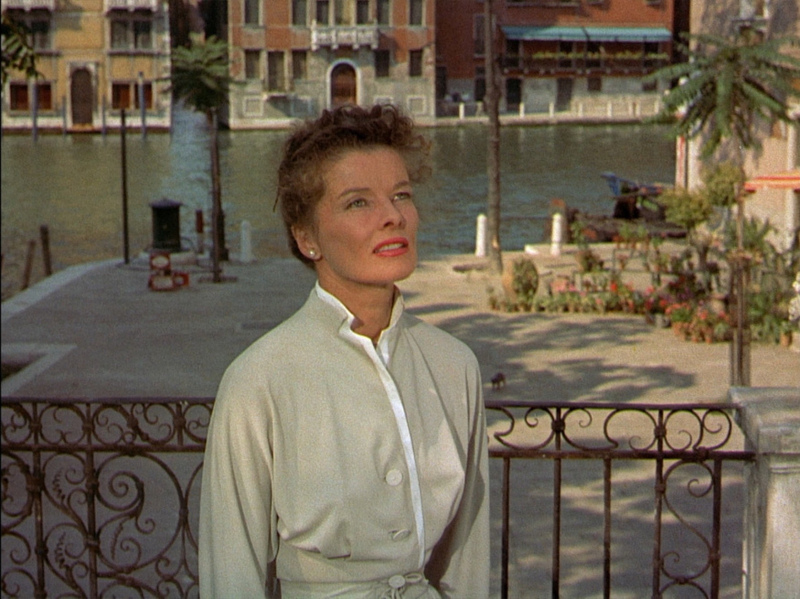 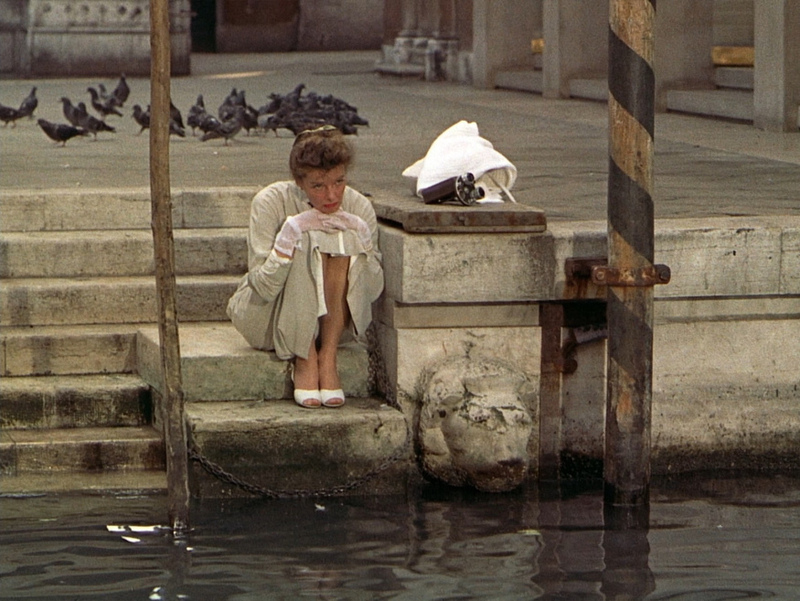 Katharine Hepburn’s sensitive portrayal of the lonely heroine and Jack Hildyard’s glorious Technicolor® photography make Summertime an endearing and visually enchanting film. 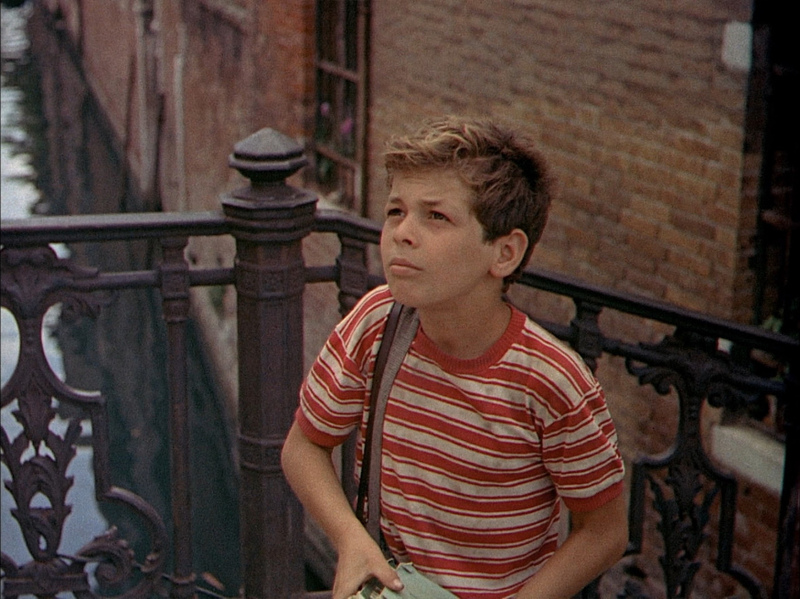 This edition (without any extras) is also available in The Essential Art House - 50 Years of Janus Films - a 50-disc celebration of international films collected under the auspices of the groundbreaking theatrical distributor. 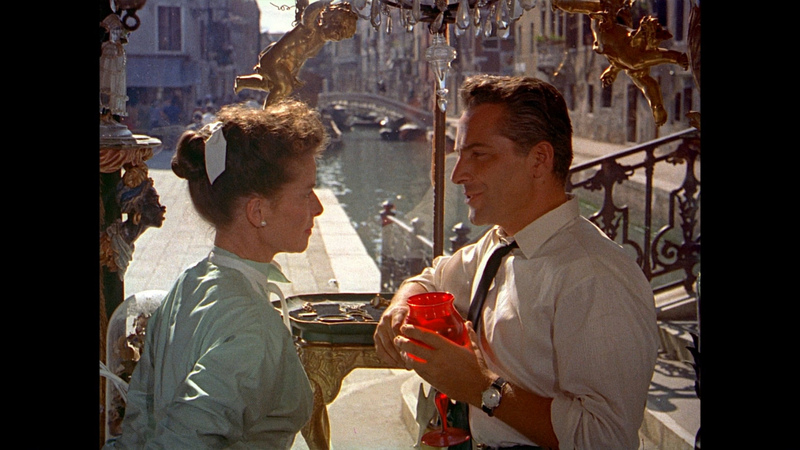 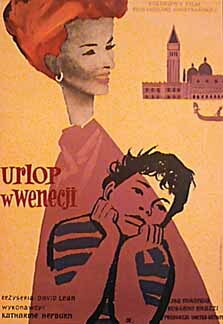 It contains Alexander Nevsky (1938), Ashes And Diamonds (1958), L'avventura (1960), Ballad Of A Soldier (1959), Beauty And The Beast (1946), Black Orpheus (1959), Brief Encounter (1945), The Fallen Idol (1948), Fires On The Plain (1959), Fists In The Pocket (1965), Floating Weeds (1959), Forbidden Games (1952), The 400 Blows (1959), Grand Illusion (1937), Häxan (1922), Ikiru (1952), The Importance Of Being Earnest (1952), Ivan The Terrible, Part II (1958), Le Jour Se Lève (1939), Jules And Jim (1962), Kind Hearts And Coronets (1949), Knife In The Water (1962), The Lady Vanishes (1938), The Life And Death Of Colonel Blimp (1943), Loves Of A Blonde (1965), M (1931), M. Hulot's Holiday (1953), Miss Julie (1951), Pandora's Box (1929), Pépé Le Moko (1937), Il Posto (1961), Pygmalion (1938), Rashomon (1950), Richard III (1955), The Rules Of The Game (1939), Seven Samurai (1954), The Seventh Seal (1957), The Spirit Of The Beehive (1973), La Strada (1954), Summertime (1955), The Third Man (1949), The 39 Steps (1935), Ugetsu (1953), Umberto D. (1952), The Virgin Spring (1960), Viridiana (1961), The Wages Of Fear (1953), The White Sheik (1952), Wild Strawberries (1957), Three Documentaries By Saul J. Turell plus the hardcover, full color 240-page book. 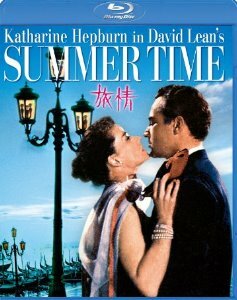 ADDITION: RAN - Region 'A' - Blu-ray - June 12': David Lean's Summertime gets the Blu-ray treatment out of Japan and it looks quite nice. 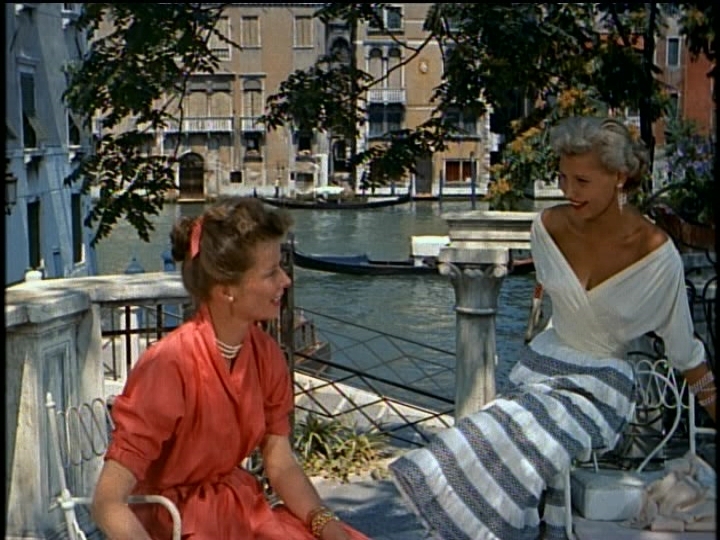 Only single-layered but there is a decent bitrate on the bare-bones disc. 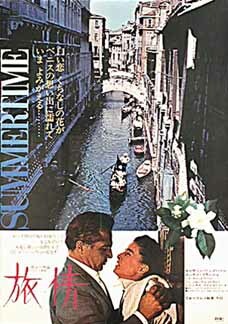 The frame shows more information than Criterion's SD (from way back in 98'). 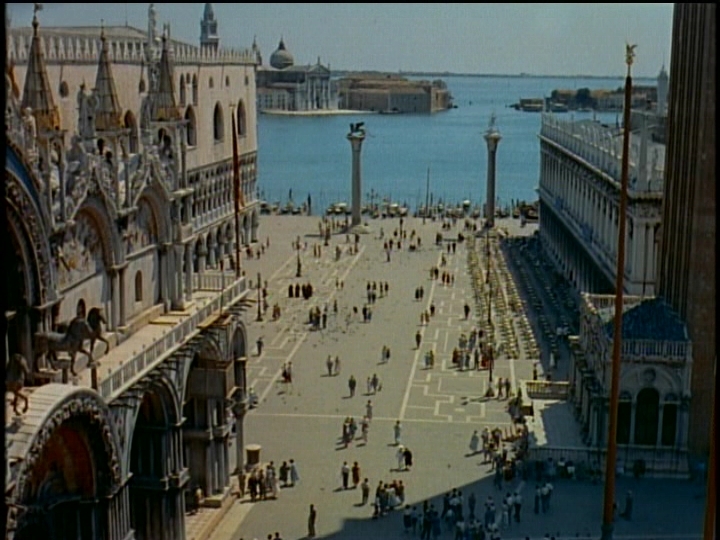 There is some grain and the Venetian sights can be very impressive in 1080P. 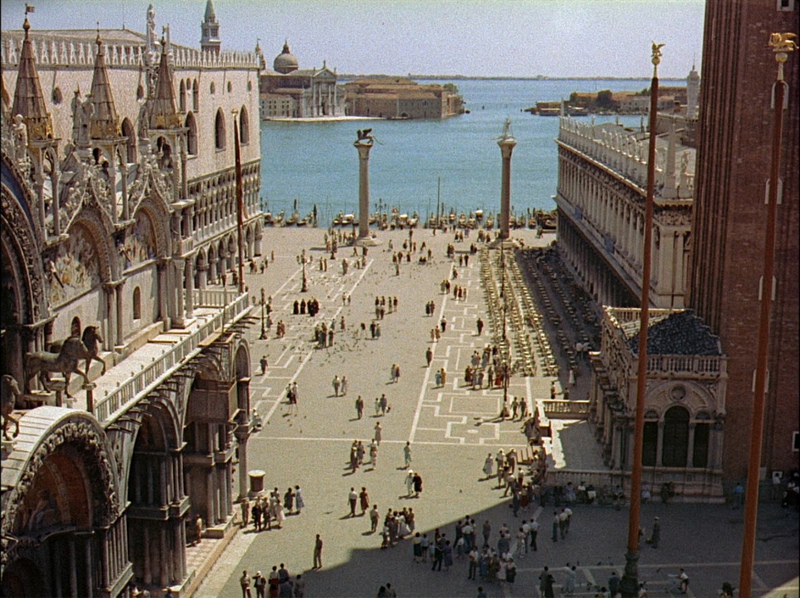 The image is brighter and things tighten in the higher resolution although colors may have lost some steam. There is lossless stereo sound with a nice supportive score and optional Japanese subtitles on the region 'A' Blu-ray disc. 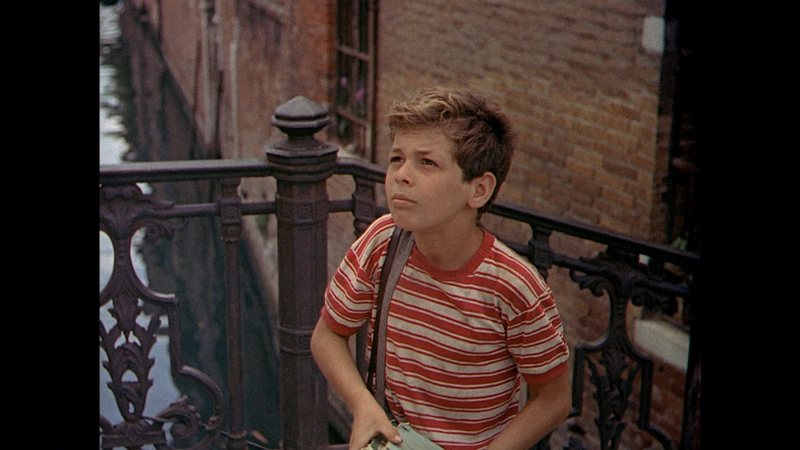 NOTE: Like Tell Them Wille Boy is Here the opening credits (one minute 29 seconds) are heavily picture-boxed. 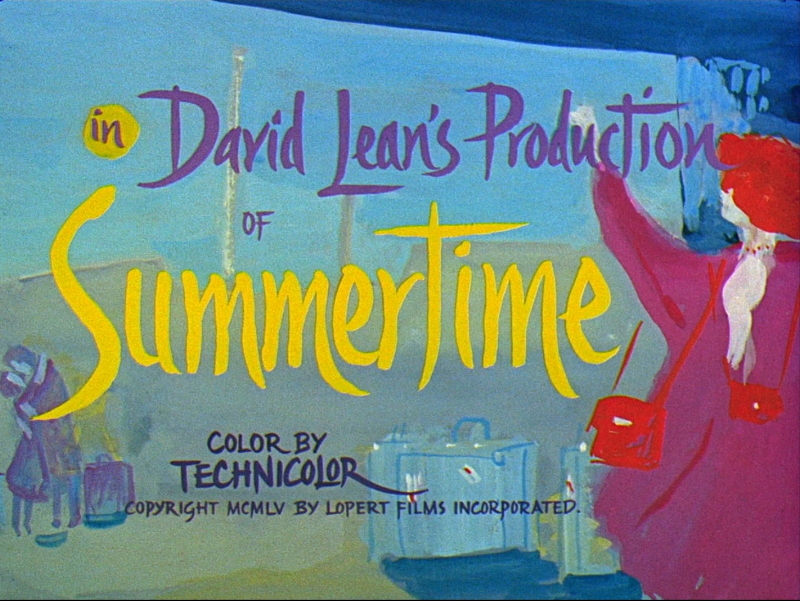 I still like Summertime and enjoyed the HD presentation. 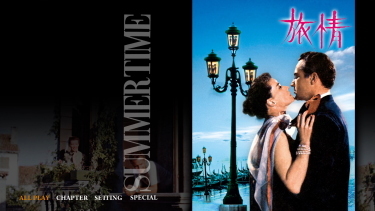 Nice to know it is available on Blu-ray now. 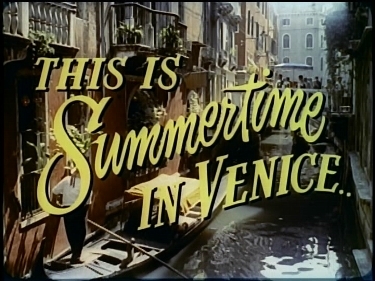 ON THE DVD: This is a bit of an odd-duck Criterion - one of their lowest bitrates, no subtitles and is appears it could have been from an analog source, although it is filled with good film grain and the brilliant Technicolor makes it impossible to question. 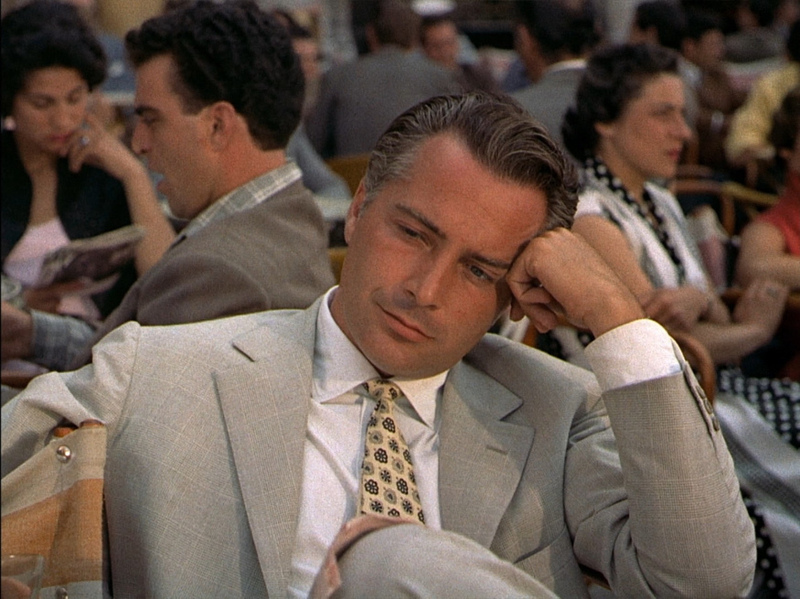 Criterion claims "new digital transfer was created from a new 35mm internegative" and I don't have the wear-it-all to argue. 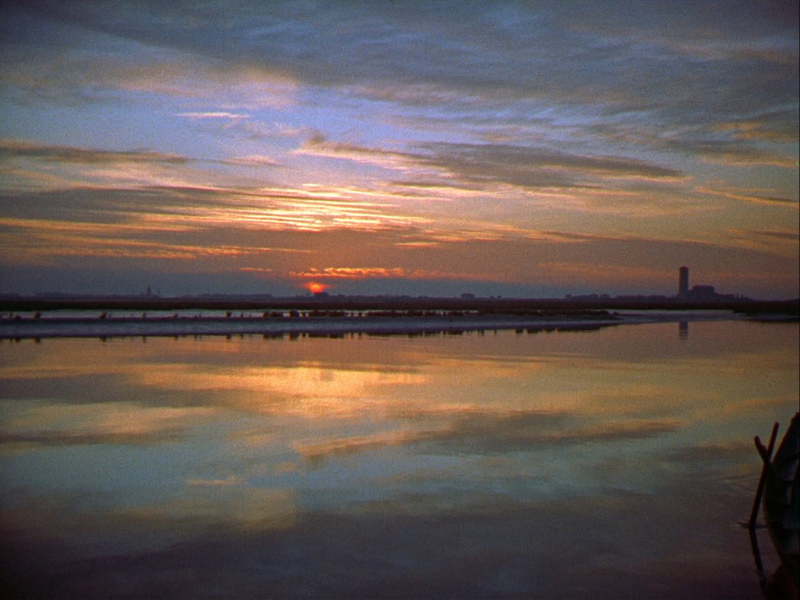 Bottom line is the image looks as wonderful as the film. 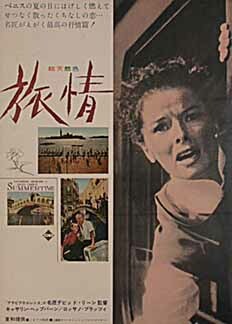 No extras to speak of, but for the Criterion collector - or David Lean fan, this a good purchase. 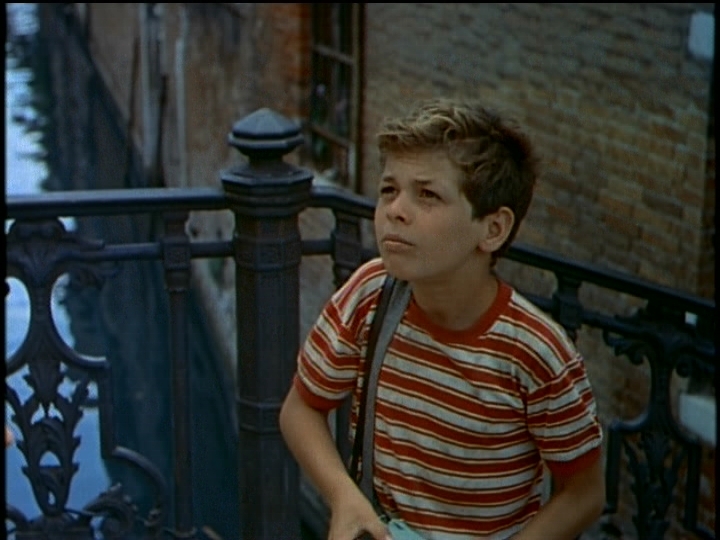 I forgot how much I enjoyed this film will I recently saw it again. 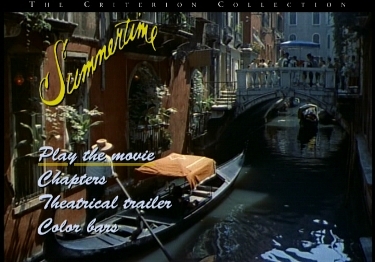 I have owned three copies of Criterion's "Summertime", and I returned each of them for defects in the transfer. 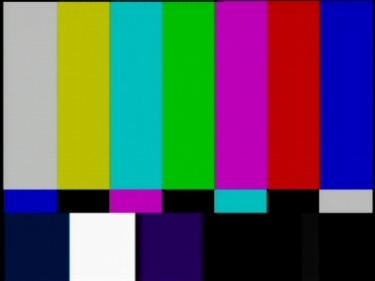 The image as a whole is beautiful, but when it goes wrong, it really goes wrong. 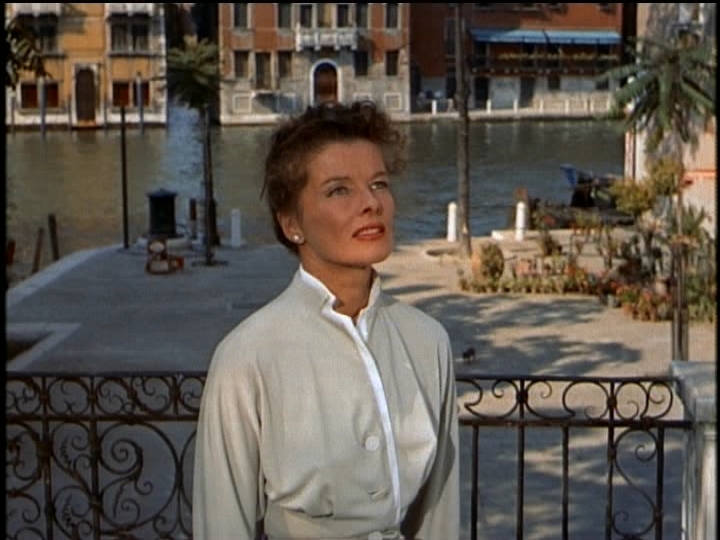 In one DVD Katherine Hepburn's face dissolved into huge squares for the duration of several seconds. 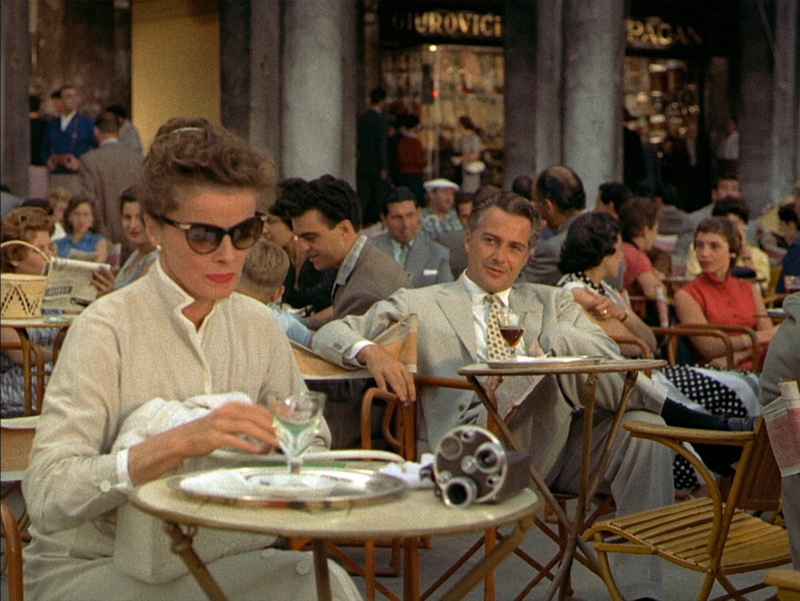 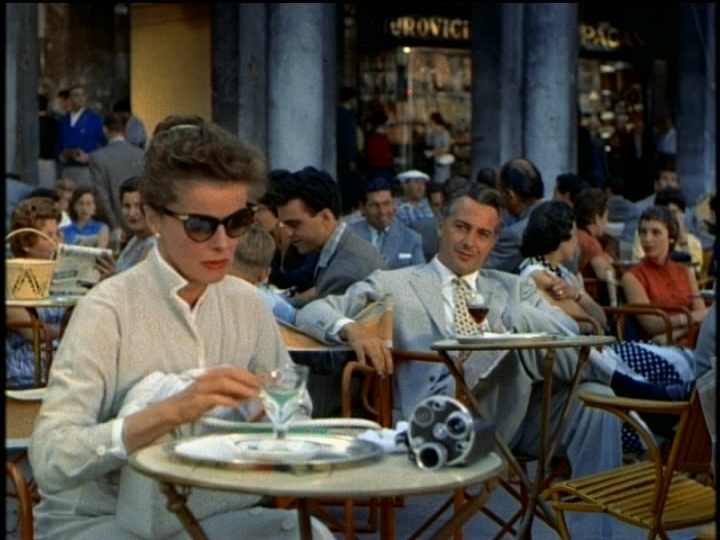 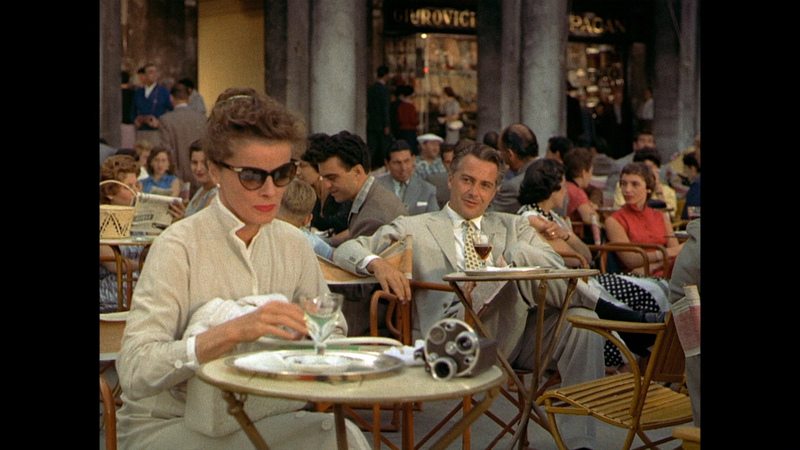 In the other defective DVD, the movements of the speaking mouths of the Brazzi and Hepburn were replaced by black and white bars. 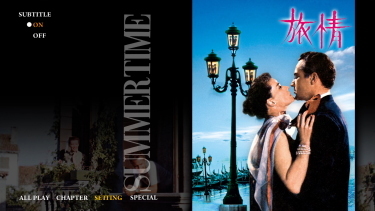 I forgot what the problem in the third disc was, but I returned that one as well. 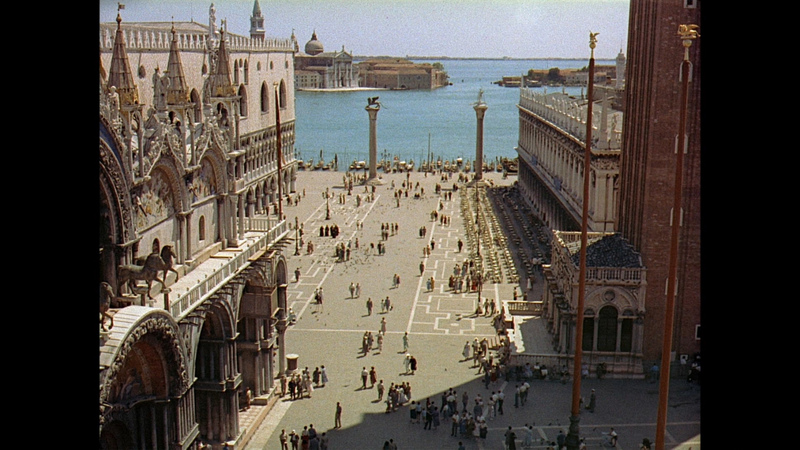 All came from the first printing of the DVD, and each happened at different moments in the movie. 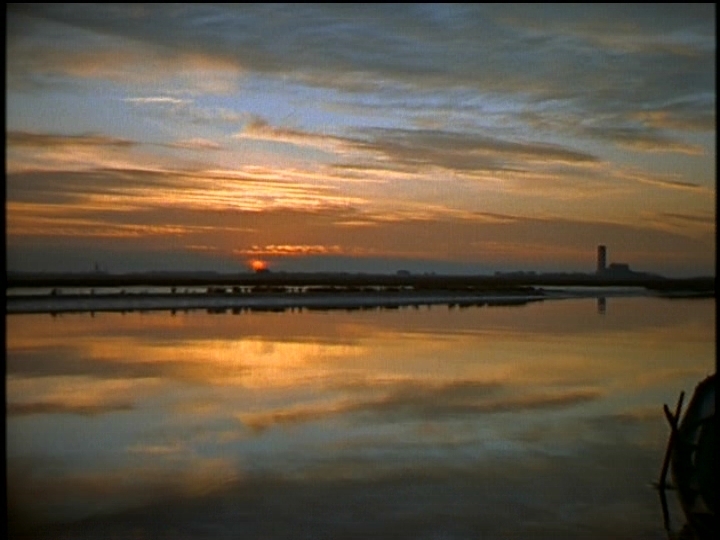 Since I really love the movie, I kept trying to get a non-flawed transfer, but no luck yet.